Mayfair is one of London’s most exclusive areas and home to many of the capitals most luxurious hotels, restaurants and shops. The area is bordered by Piccadilly Circus, Regent Street and Hyde Park making it an incredibly convenient base when visiting London. With so many luxury hotels in the area, we have picked out a selection of our absolute favourites to stay at. Looking for the best hotels in London or Kensington? Or new luxury hotels in London to stay at? One hundred and twelve years after first opening as the brainchild of Cezar Ritz, The Ritz, London is still one of the world’s finest hotels. It was awarded the Royal Warrant in 2002, the only hotel to hold it. Staying at the Ritz is a five-star experience which combines old-world opulence with the highest level of customer service available anywhere. Eat in the Michelin-starred restaurant, still regarded by many as the most beautiful dinning room on the planet or take afternoon tea on the terrace. 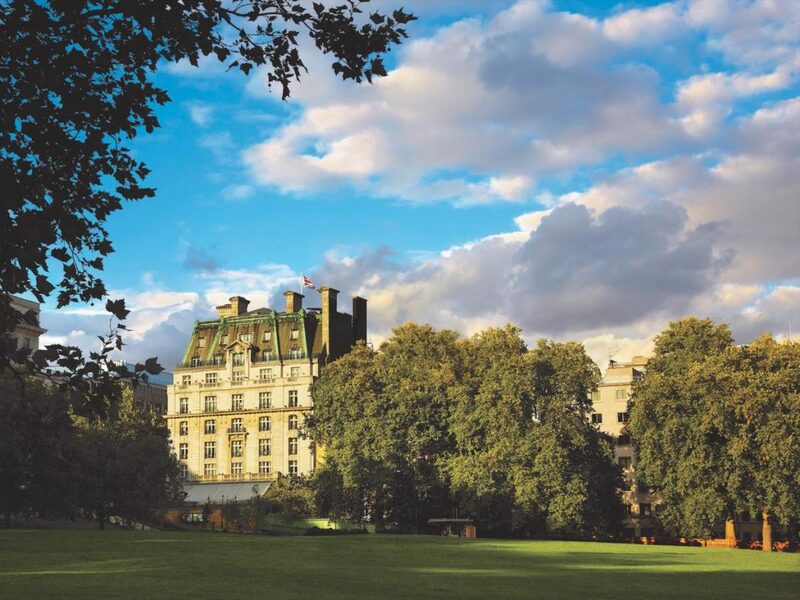 The hotel is close to Green Park and the West End. 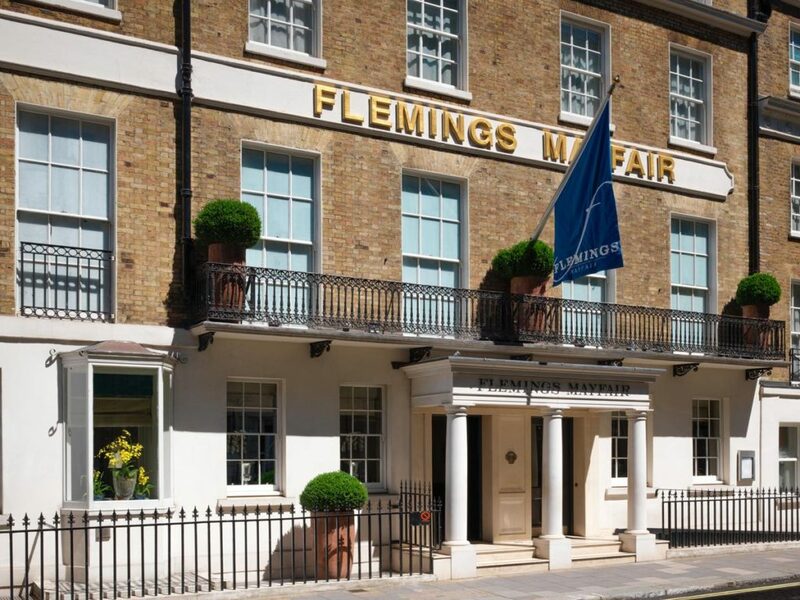 Fleming’s is situated in Half Moon Street. Here, modern luxury blends with a historical legacy that offers a range of accommodation packages to the modern traveller. From deluxe singles to double suites, there is something for everyone. Each room is colour coordinated and incorporates key features of a previous artistic style. The hotel has gym which boasts the latest cardiovascular and weight-resistance equipment. Dine at Ormer Mayfair, taker afternoon tea in the Drawing Room or cocktails in the Manetta’s Bar. It is all there to enjoy. 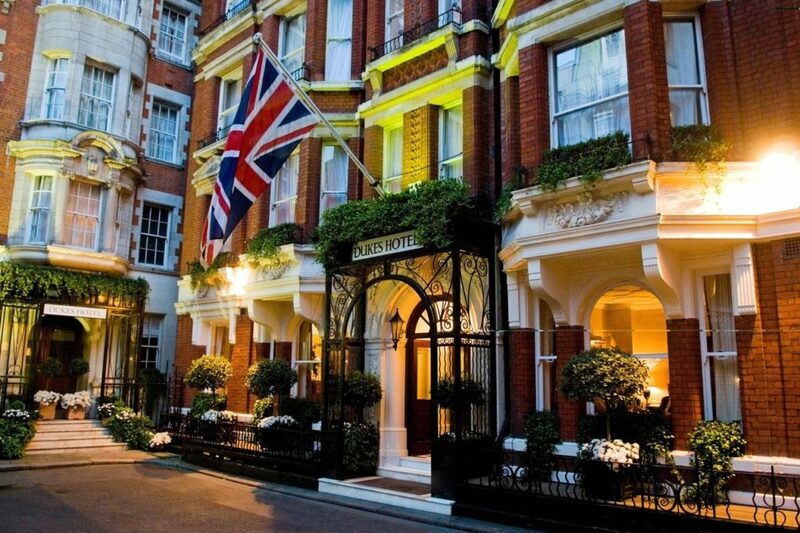 This quintessentially British hotel is located in St James’s Place, Mayfair, close to Piccadilly Circus and Green Park. At Dukes you are offered luxury and sophistication in a hospitable environment where the in-house team will do everything possible to make your stay perfect. Refinement and elegance matter here; it is all part of the magical concoction that creates Dukes’ unique ambience. Bedrooms and suites are beautifully appointed; there is even a dog friendly room. In recreating the rooms at the Connaught, Guy Oliver and Guy Collins have fused modern styling with retro touches which help keep the overall impression in harmony with this hotel’s architectural roots. Every room is generously apportioned, particularly the suites; the Sutherland Suite has its own Baby Grand Piano. 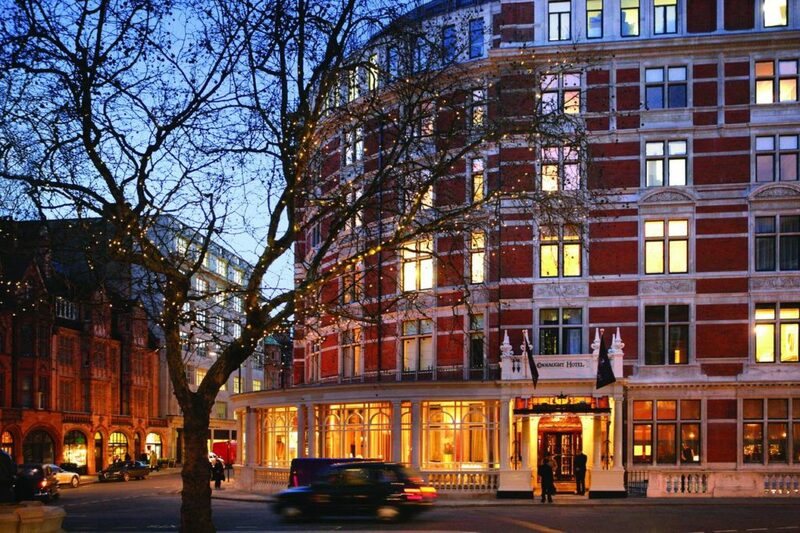 Restaurant Helen Darroze at the Connaught offers a package that won her two Michelin stars. Relax in the restaurant’s magnificent interior, designed by India Mahdavi. Alternatively, dine at Jean-George’s where British classics blend with South-east Asian flavours. The hotel also has a spa which offers a range of treatments and alternative therapies. There is so much to entice the weary traveller at this luxury 5-star boutique hotel with private members club, nestled in the heart of St James’s. 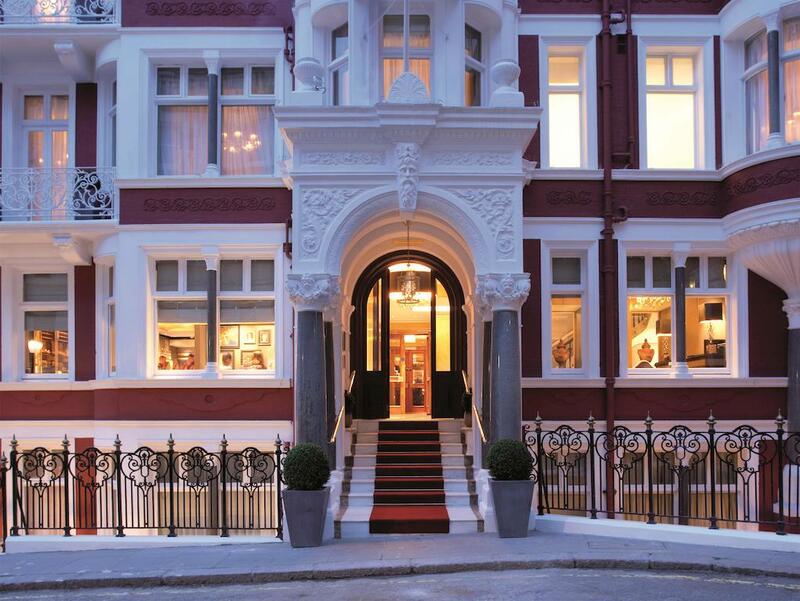 The hotel oozes Victorian charm blended with contemporary style. The eye for detail, visible in every piece of high-end furniture, upholstery and general décor is a thing to behold. In addition to the usual accommodation options, St James’s offers terrace suites and a Penthouse with its own private lift. There is a range of food options which include, Michelin-starred 7 Park Place under the watchful eye of William Drabble. There is also a Bar and Bistro. 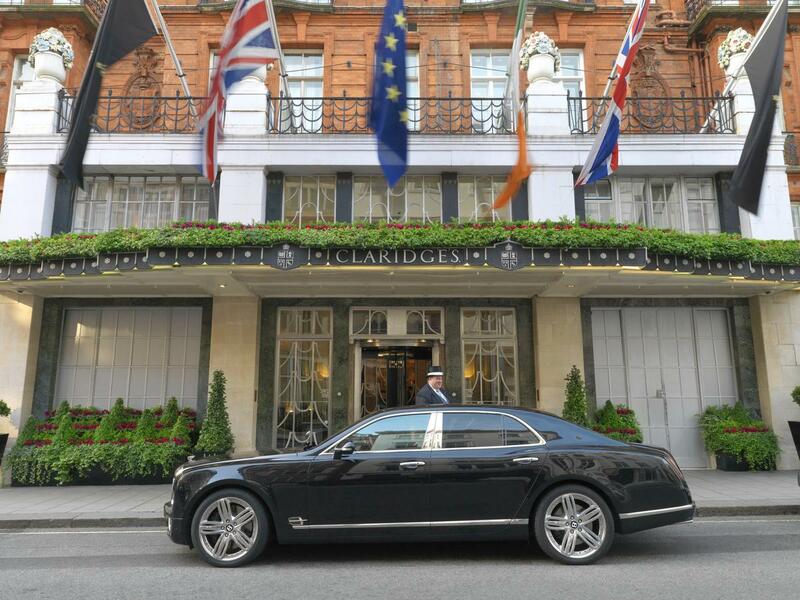 Claridge’s is a name to conjure with when it comes to the world of the highest of top quality hotels, Situated in Brook Street, Mayfair it has an impressive history which goes back to 1856. The standard of accommodation at Claridge’s is world-class and includes spacious suites that resemble the drawing rooms of stately homes. Fera at Claridge’s provides British Cuisine at its very best, befitting of its status as a Michelin star holder. Food is also available in the Foyer and Reading Room. This is a family friendly hotel and children are welcome. Claridge’s also has its own health club and spa. 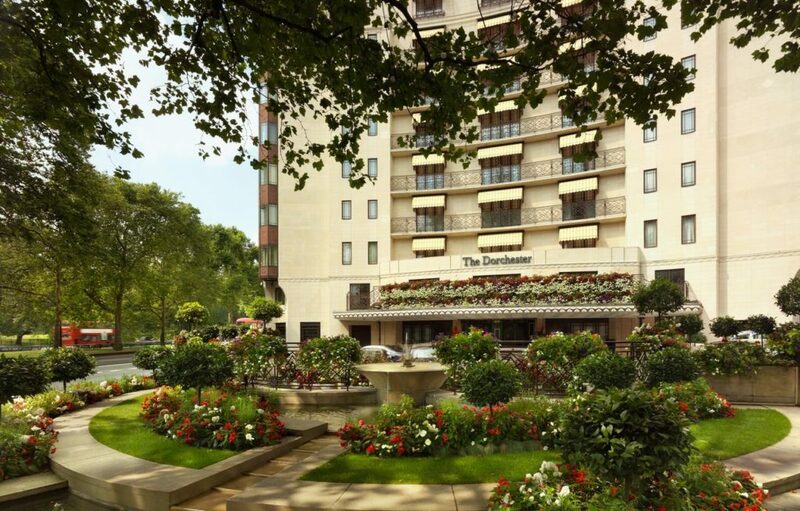 Situated close to Hyde Park, The Dorchester is a landmark which attracts sightseers due to its iconic status as one of the World’s most famous hotels. The striving for perfection here is visible in every guest room and public space. The accommodation includes King and Queen Rooms and the hotel boasts a large number of luxury suites, including the Harlequin Suite where scenes from the fated romance between Elizabeth Taylor and Richard Burton were played out. Alain Ducasse runs the hotel’s flagship restaurant, holder of 3 Michelin stars (Ducasse has 21). After a busy day, relax in the spa with a massage, facial or other treatment. There is also a traditional barber on site.